What Are Polyps Nose Symptoms? Polyps Nose or Nasal polyps as commonly known are non-cancerous, common growths that develop in the sinuses of the nose. Typically near the area where the nasal cavity meets the sinuses. If a person has runny nose and remains congested for several weeks, they likely have Polyps Nose Symptoms. This is a nasal disorder than just a common cold or seasonal allergies. There’s a good chance that something may be growing inside their nasal cavity. That is usually the problem that is causing nasal polyps symptoms. Although nasal polyps are benign or non-cancerous, they can develop within the nasal passages causing serious problems wit breathing. Though frequently linked to asthma or allergies, nasal polyps don’t always present sever symptoms. Particularly if they’re quite small and don’t require any treatment. However, bigger nasal polyps can block sinuses from draining properly. If excess mucus starts to build-up in the sinuses, they can get infected. Thus the discoloured, thick drainage in the throat and nose that tends to affect a number of people who deal with Polyps Nose Symptoms. Nasal polyps are commonly linked to inflammation in the lining of a person’s sinuses. The growth and symptoms last more than 4-5 months. In the medical field it is sometimes referred to as chronic sinusitis, or rhino-sinusitis. It’s possible tough for someone to have chronic sinusitis without experiencing nasal polyps. Nasal polyps lack sensation and are generally soft. Therefore, if they’re small, most people don’t know that they have them. On the other hand, a big nasal polyp or multiple growths will likely block their sinuses. Any health issue that results in constant inflammation inside the nose or in the sinuses can increase the risk of developing nasal polyps. The condition typically occurs in people over the age of 40. 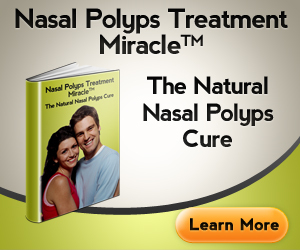 Nasal polyps should not be confused with bladder, colon or cervical polyps. Nasal polyps are rarely cancerous. Often, they develop due to a family history or from chronic inflammation. If you have polyps nose symptoms it is time to see a doctor to determine if you need surgery to get rid of them.